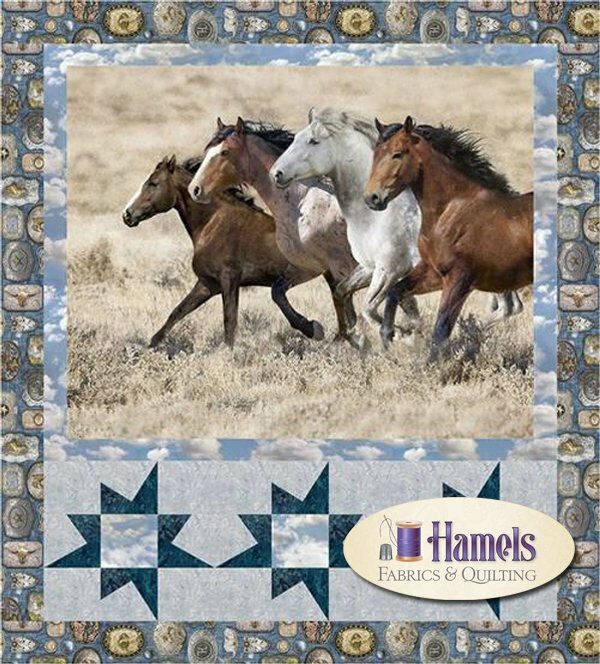 Wide Open Spaces - Running Free Quilt Kit is 53" x 62" is designed by Kari Nichols and features Wide Open Spaces digital fabric by Hoffman California Fabrics. 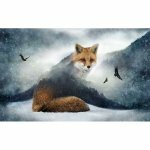 The kit includes the fabric for the quilt top, binding and the pattern. A backing and/or batting option is available in drop down bar.